Sports (ISSN 2075-4663) is a peer-reviewed scientific journal that publishes original articles, critical reviews, research notes and short communications in the interdisciplinary area of sport sciences and public health. It links several scientific disciplines in an integrated fashion, to address critical issues related to sport science and public health. Therefore this international journal covers a broad spectrum of important topics which are relevant to sport sciences and public health. It provides comprehensive and unique information with a worldwide readership. Emphasizing holistic approach, the journal serves as a comprehensive and multidisciplinary platform, addressing important issues. A large number of eminent professors and scientists from all over the world serve as editorial members and guest reviewers for the journal. 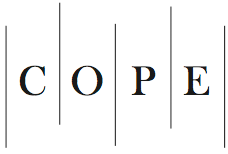 Sports is a member of the Committee on Publication Ethics (COPE). MDPI takes the responsibility to enforce a rigorous peer-review together with strict ethical policies and standards to ensure to add high quality scientific works to the field of scholarly publication. Unfortunately, cases of plagiarism, data falsification, inappropriate authorship credit, and the like, do arise. MDPI takes such publishing ethics issues very seriously and our editors are trained to proceed in such cases with a zero tolerance policy. To verify the originality of content submitted to our journals, we use iThenticate to check submissions against previous publications. MDPI works with Publons to provide reviewers with credit for their work.